Okay, so I think we're all aware now of just how crazy in love I am with Brugge. 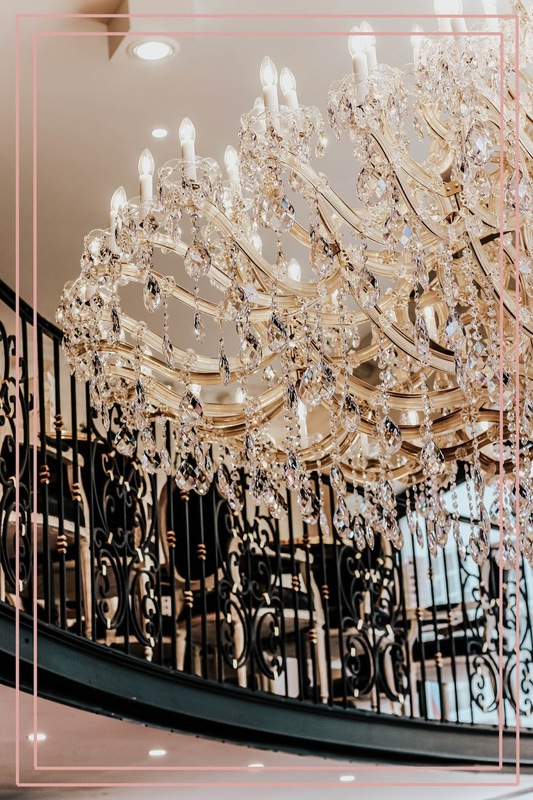 It's a city filled with history and character; somewhere that leaves you pining for more come time to checkout of your hotel, and a place that doesn't allow you to walk for more than ten metres without calling for a photo opportunity. 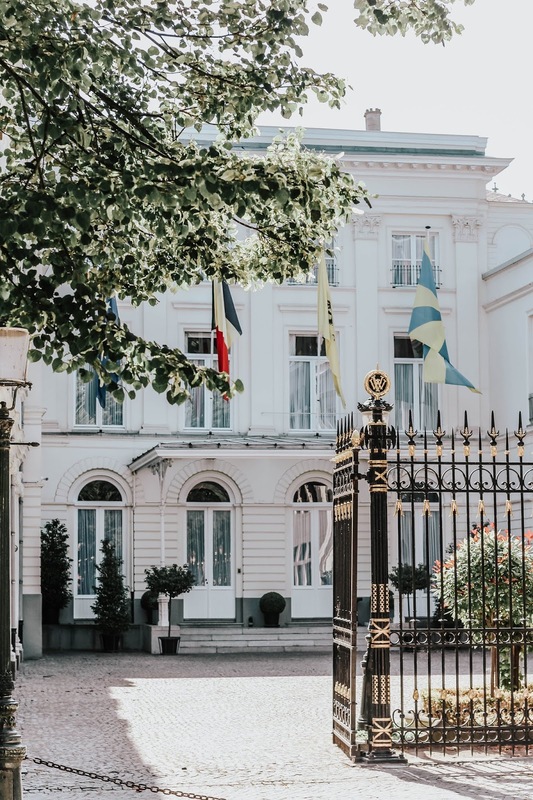 Having now been one of my favourite European city break destinations for over six years, I figured it was time to put together a little guide to just why it's such a special place, and why you need to book a trip before the end of this year. ASAP. Let's start with the obvious: architecture. It's more formally known as an 'outstanding example of medieval historic settlement' and where 'original Gothic constructions form part of the town's identity'. But between you and me, it's just super gorgeous, photogenic and yes, Instagrammable. 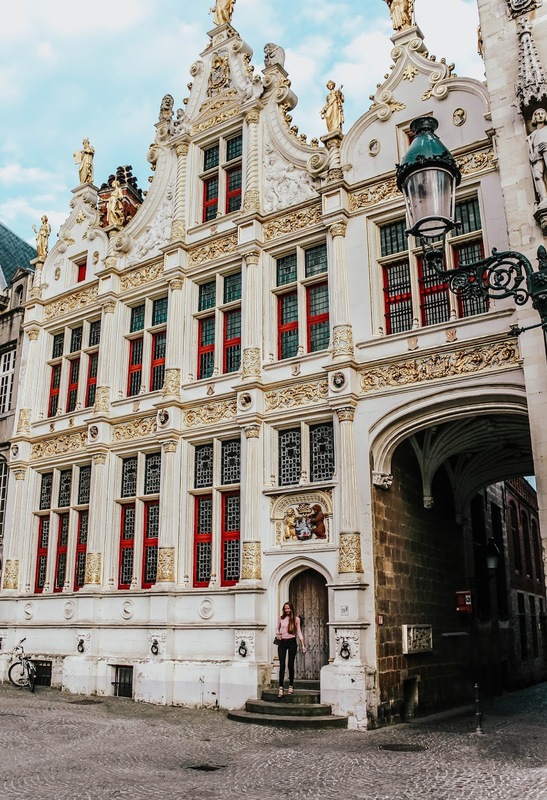 Above all else, it's the flamboyancy of the architecture in Brugge that is guaranteed to steal your heart; one thing's for sure, you won't find a trace of minimalism in the city. Ooh, the food. The food. Like most of us, I tend to adapt to the food of whichever country I'm visiting. But you don't even need to try when it comes to Belgium - the usual suspects that tend to all see our hearts racing are there waiting for you. Chocolate, frites with Belgian mayonnaise and waffles. Sure, there are other foods, but you could easily survive a couple of days on these foods alone. Trust me, I've tried. 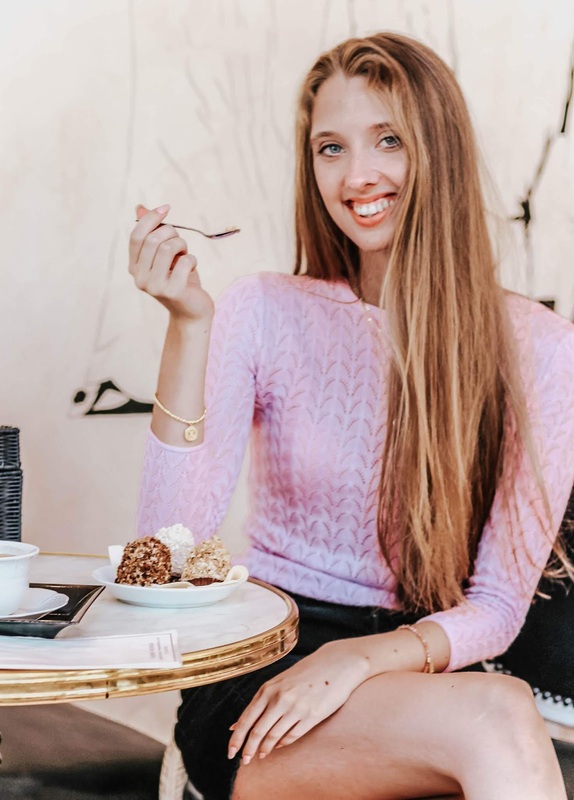 If you're also an advocate of taking a break from sightseeing by sitting somewhere cool and refreshing for a slice of cake and/or other indulgent treats, I have a couple of fabulous locations for you. 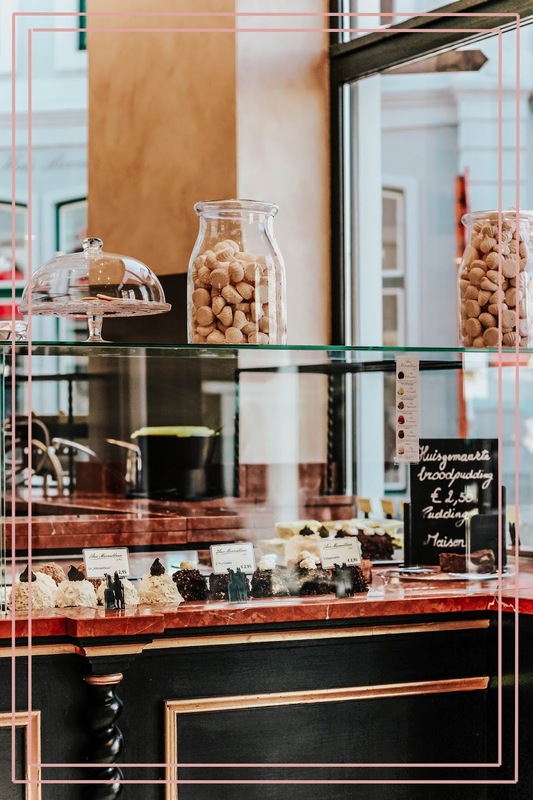 Firstly, Tea-room de Proeverie (first photo above in this category); a beautifully quiet and tranquil café offering sweet treats and a range of beverages including warm drinks with a side of chocolate truffles, milkshakes and fizzy drinks. Classical music plays while the air conditioning blasts through the adjoining rooms. I'm a creature of comfort and always opt for a slice of apple cake, along with a soft drink and small selection of chocolate truffles. 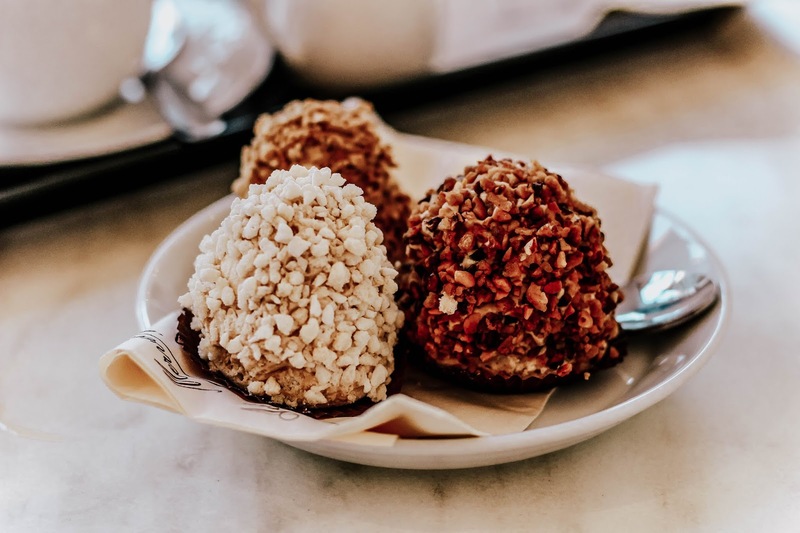 Better yet, the chocolates sold at the café are also exclusively available to buy from the chocolatier across the street! 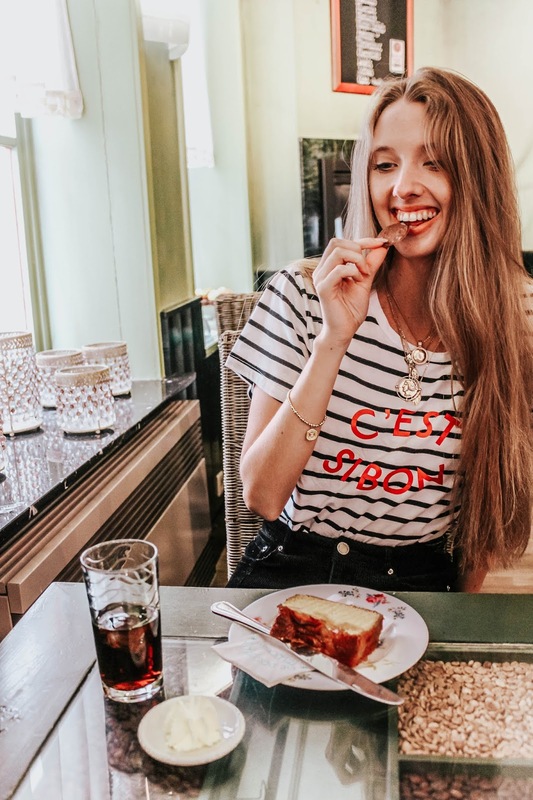 Next up is Aux Merveilleux de Fred, a luxurious corner café offering solely sweet treats. If you don't have time to sit in, be sure to leave with a chocolate chip brioche in hand. It will last you for hours, especially if you have a long journey home ahead of you! It's not very often the two blend seamlessly, and yet that's exactly what you'll find when in Brugge. 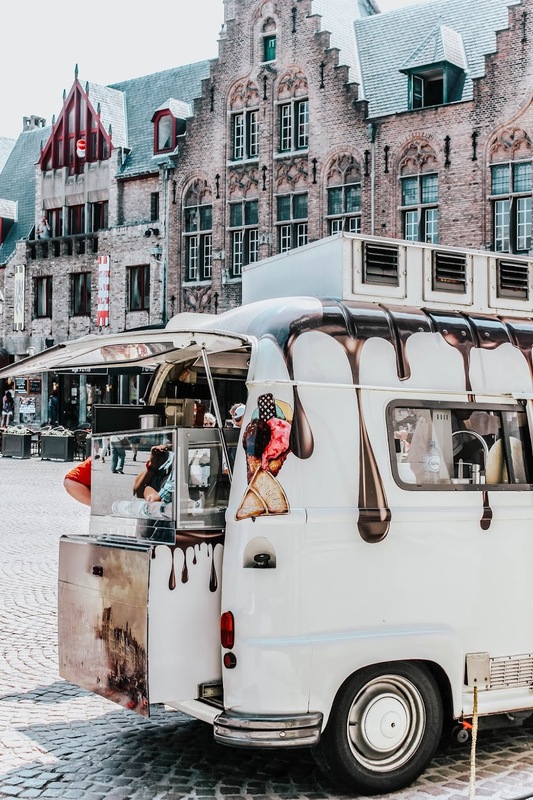 There's a reason I keep returning to the Belgian city, and although chocolate does play a large part in it, the main reason is the atmosphere and general ambience. Very quickly, you'll feel safe and welcomed in a way that very few popular cities can offer. And yet still, it's a city with a pulse; a haven for those seeking music, culture and theatre. 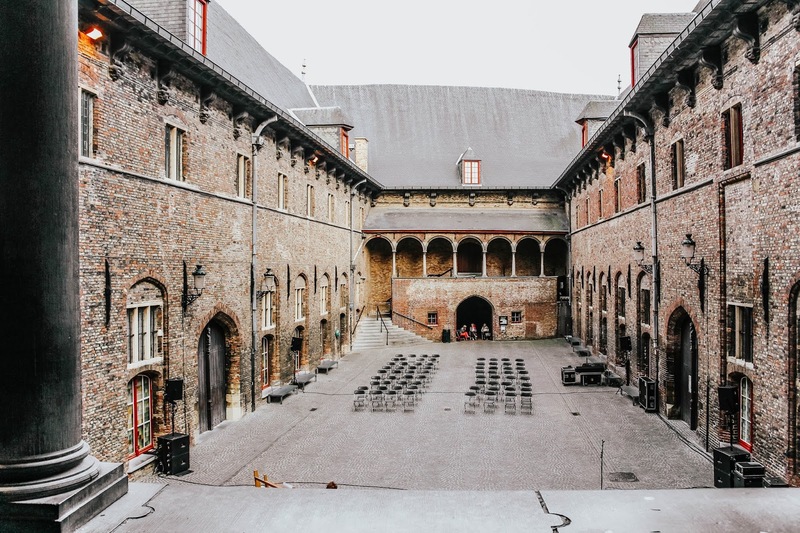 To cut a long story short, you're bound to truly appreciate the kind nature of Brugge. Calling all water fairies! 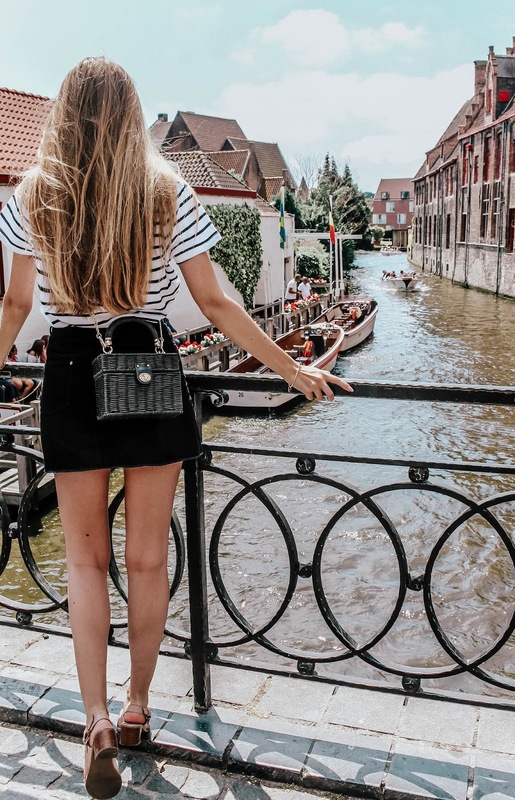 I'll admit, I've had a phobia of small boats for a long time now (stop laughing), but having recently overcome that, I was able to genuinely enjoy a boat trip through the canals of Brugge on this most recent visit to the city. I'm a convert, for sure. Although, you can take your love of water one step even further by walking to The Lake of Love, also famously known as Minnewater in Dutch. It's considered the most romantic area of Brugge and you know what, I won't argue with that. Romantic backdrops from all angles of willow skimming the still waters and swans gliding past while you stand with your loved one? I can see why it has a reputation. While we're on the topic of romance, you will absolutely adore Brugge by night. Have I provided any photos of this? No. Sorry about that, but I make a rule of leaving my camera in the safe while exploring Brugge by night. I like to soak up every last drop of the city by night; which is something you'll no doubt relate to if you've found yourself wandering through the streets, ten o'clock in the evening and with a box or two of chocolates tucked underneath your arm. It's quiet, tranquil and pure bliss. No matter the time of year, the city takes on a warm sort of glow by night; one that makes the gothic architecture, still waters and cobbled streets seem all the more special. But I'll stop there, because I'm about *this* close to jumping in my car and driving back to my fave European city now! 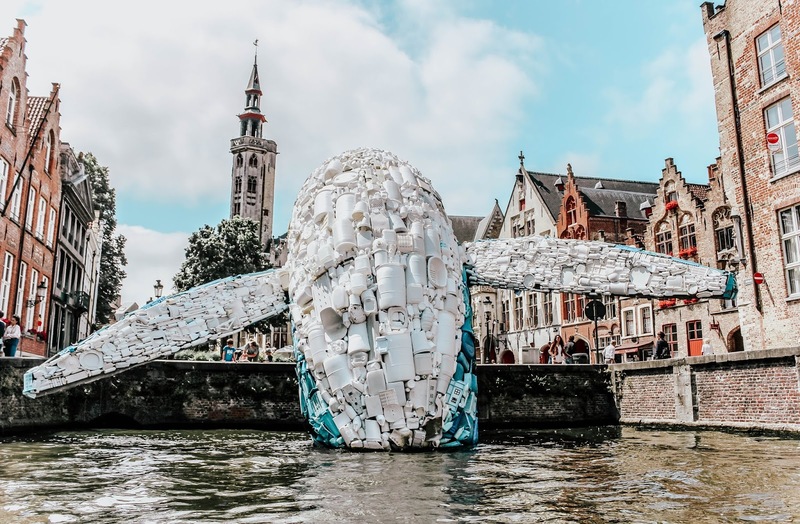 One more time for the people in the back: I adore Brugge. It stole my heart on my very first visit and never gave it back. 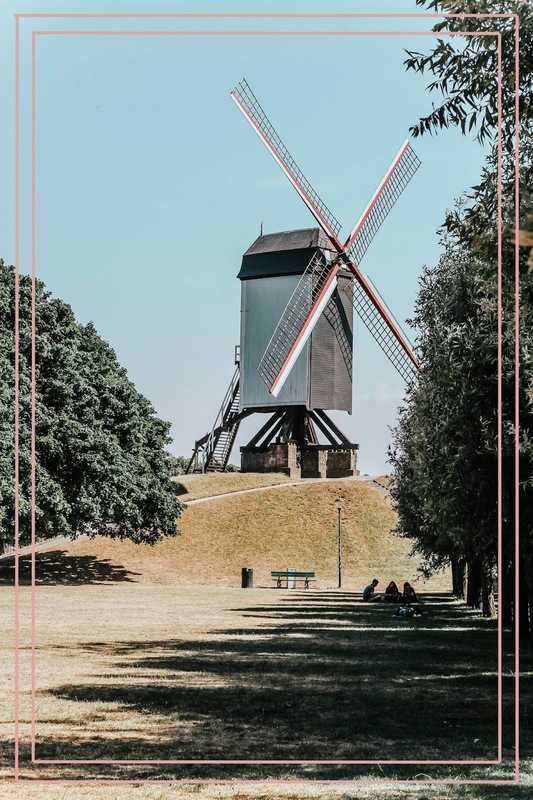 I hope this travel guide has been of some inspiration; would you consider visiting the popular Belgian city? Or perhaps you've already visited? Let me know in the comments below! What a lovely travel guide Gabrielle. Brugge is such a great place. I think the architecture is what always stole my heart. We have friends from there so it's nice to see the nice city shots here. 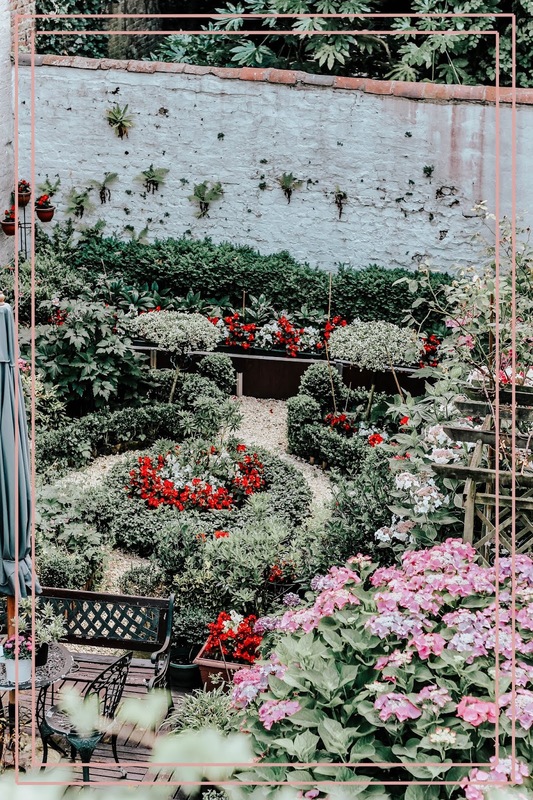 You have me sold on the city with your gorgeous photography, Gabrielle! 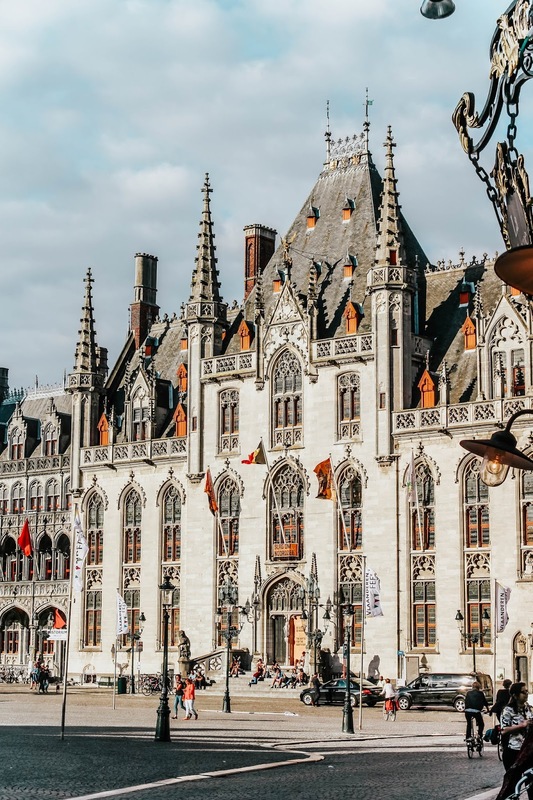 Brugge is actually one of my husband's favorite European cities and I've been dying to visit. Even more so now! soooo freaking pretty! would you say the best time to visit Europe is during summertime? I'm going to Belgium this December and I cannot wait. Looking at all of pics just makes me wanna hop on a plane and go there this instance! I still haven't had the chance to visit, but the city is high up on my list of places to go. Not only for the waffles. Oh my god, you look stunning in that outfit with the striped top and skirt! You're killing it. So keen to visit Belgium, someone told me that it was their favourite place that they've ever been to and they'd travelled quite a lot. The architecture in particular looks absolutely beautiful and so intricate. It looks and sounds like a lovely place to visit! I've never been, but I do love chocolate so I'd enjoy spending some time there enjoying the tasty treats, haha! I love that striped slogan tee too. 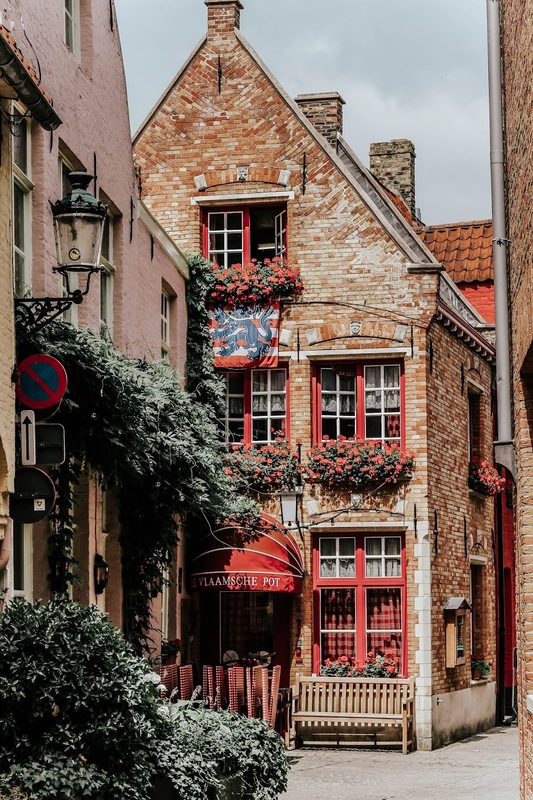 I've never been to Belgium, but Brugge look so inviting I want to board a plane immediately. What a charming city to visit! 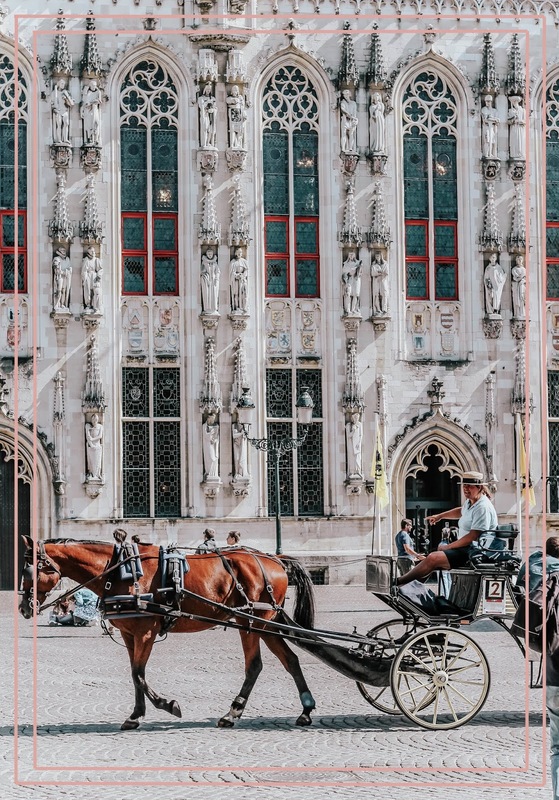 As if these amazing photographs were enough, all of the reasons you listed for visiting Brugge sound very convincing. Food is always a good reason to visit. The chocolate there looks yummy and unforgettable. 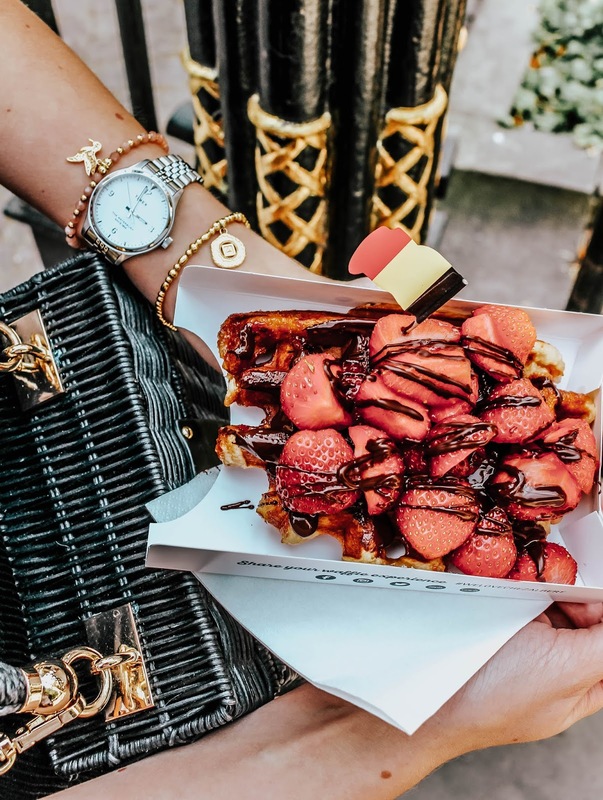 Belgium chocolate is kind of famous, right? Good to know that one feels at home in this city and that there is not a startling difference between locals and tourists. I'm sure that makes the whole experience more relaxed and cozy. Those water canals look dreamy....perfect for taking photos. Speaking of which, I love all the outfits you wear. Very pretty and stylish. 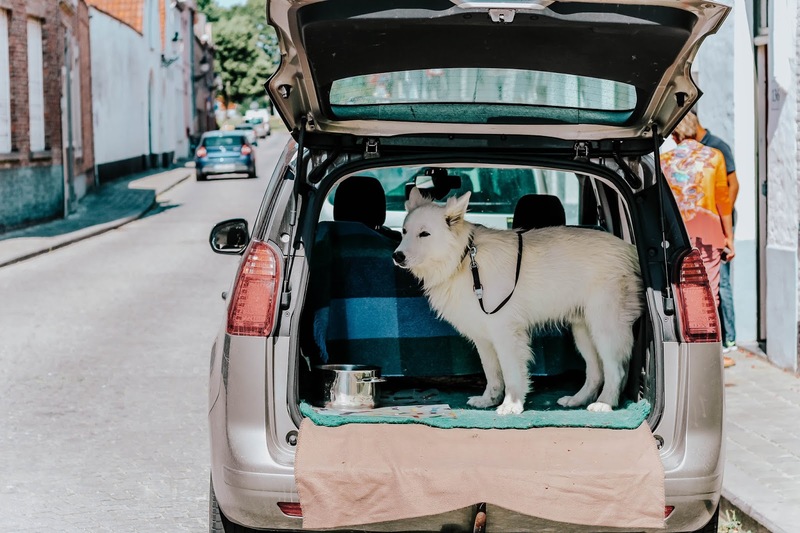 You know how to travel in style. Such a pretty city with so much history! Loving your cute striped tee, too! 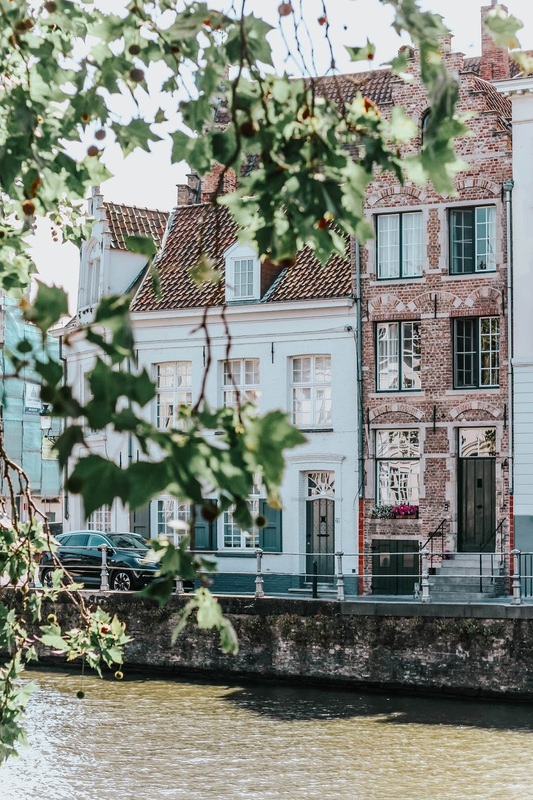 Bruges looks like it's full of charm and wonder for both tourists and locals alike. It's no wonder you love it so much Gabrielle! I'm totally adding it to my travel wish list!!!! Brugge is another bucket list place to go. I love cobble streets, old roads and houses. They all look so pretty. I love to eat loads when I'm on holiday, not sure why lol. I love your little black bag and the black shirt and pop of colour jeans. A gorgeous ootd Gabrielle : ) xo. Oh this looks beautiful! I definitely need to visit! 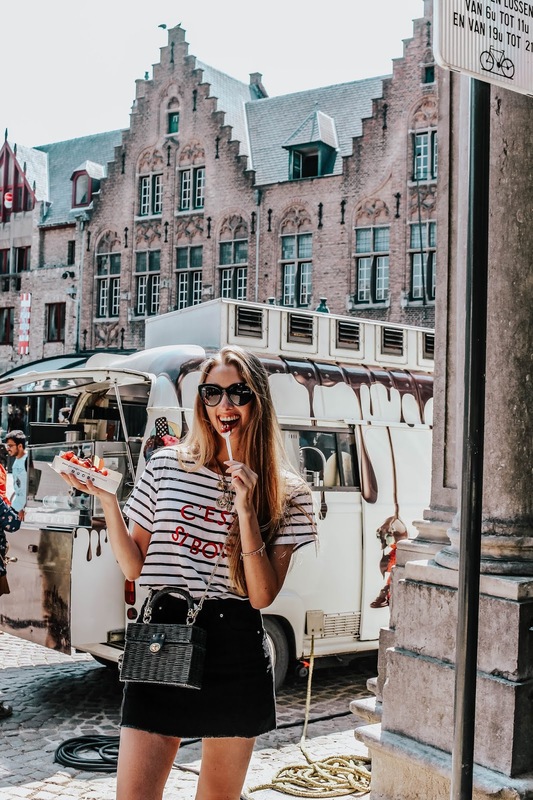 Every new post you write about Brugge makes me want to go even more every time! It seems like a beautiful city that has a blend of everything I love in cities. 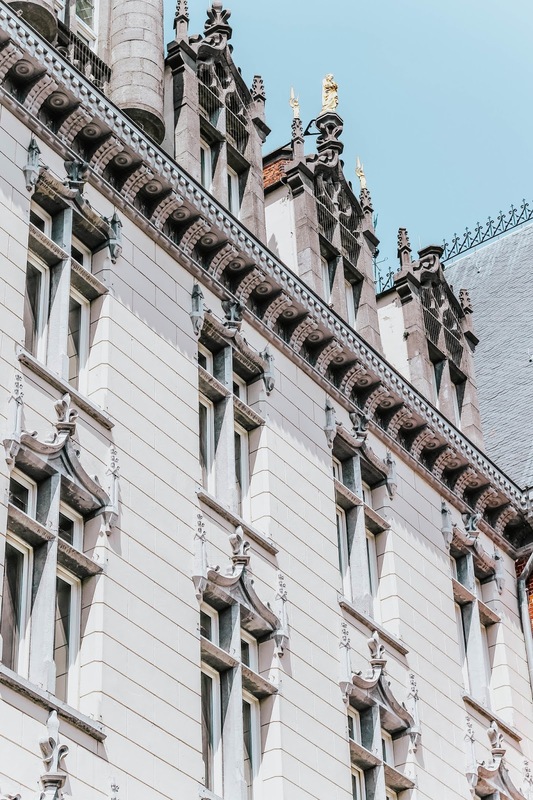 The architecture is what gets me the most, as well as tourists blending in with the locals - it's so rare these days in European cities that it's great you mentioned it, it can make all the difference! Oh boy! 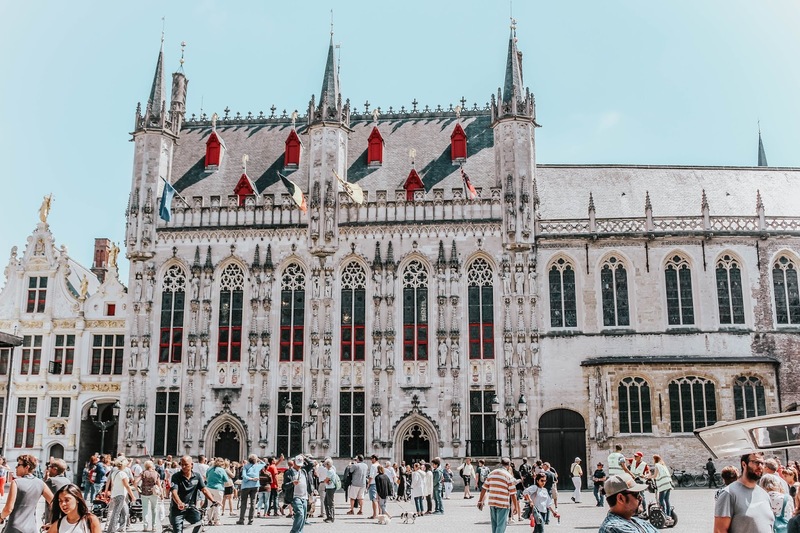 It looks like I'll be having to visit Brugge ;) One main reason that stands out to me is that the city and country are a very welcoming place for tourists and it's easy to blend right in! Although it's hard not to get away as a tourist traveling when you always have a big camera around your neck, are shooting photos, and stopping every 5 minutes to look around, I think soon enough you will get to know the city and feel like it's your second home! Coming back from China not too long ago, I experienced my fare share of what it's like to be a tourist and look forward to going somewhere which is easier to blend in I guess you could say. But hose strawberry waffles look heavenly! Wow, Brugge looks like a beautiful city! 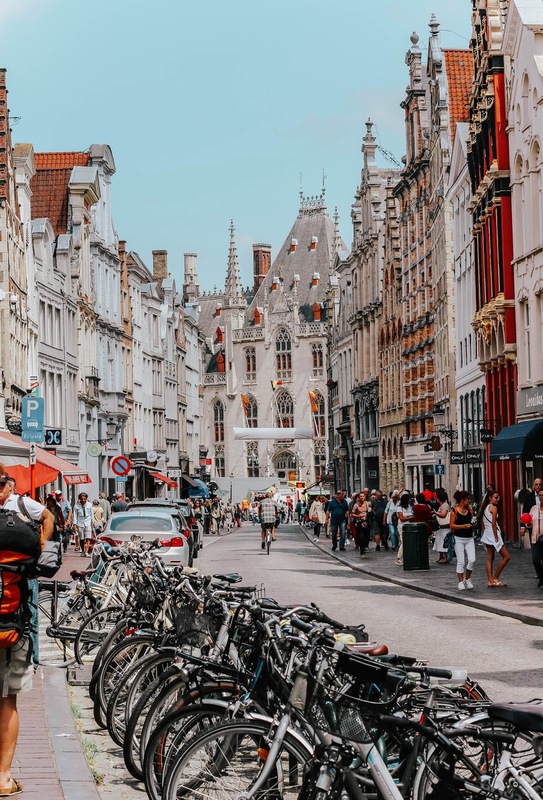 I've always wanted to visit Belgium, I'll have to add this city to my list for when I head there! Ohhmmmy this place is definitely a must visit. What absolutely gorgeous pictures! I've never really thought about going before but now I want to book a ticket straight away! I can see why you adore it - the architecture alone looks STUNNING. Add in the walkable, explorable, and neighborly vibe...and the food, and I pretty much want to go like yesterday. Your photos are beautiful and the place look incredible. I have to visit! It's years since I've been to Brugge, so I need to go back I think! I'm loving your editing at the moment lovely, all your photos are looking gorgeous! I always enjoy when you show pics of your visits to Brugge because the architecture is so scenic and breathtaking. I could definitely survive on a diet of waffles, chocolate and fries without even trying! 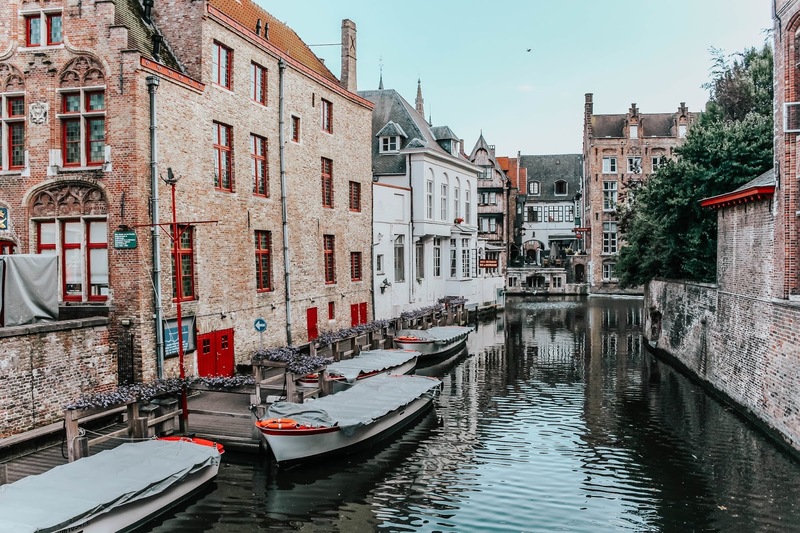 I’ve not been to Brugge before but I’ve been to Belgium about 8 years ago now and thought it was beautiful, although I’d heard Brugge was definitely worth visiting I unfortunately missed it that time around. You got some absolutely beautiful shots though, and for such a small country geographically it certainly packs a punch in terms of aesthetics! You know this town was being familiar to me, when I was 5 years old I visited Liège and was thinking that it was Brugges I had visited, but I remember it's very similar. Your pictures are fantastic, of the places, of the food, your description, of you, all in the greatest perfection. You had me at waffles, but the more I read and the more I saw your pictures, the more I loved it. I've never been in Brugge, but I have wanted to got for a while now, I guess there is never a better moment to plan than the present. You look so beautiful! Great style! Hi Naya, I've visited Annecy a few times and truly loved it - clearly you know me well, haha! I'm yet to visit Colmar though and so I'll be sure to keep there in mind for future trips. Thanks for the suggestion babe! I want to visit Brugge so much! Especially after this post! I'm in love! Brugge was soooo beautiful! I really wish I had spent more time there. Your pictures made me miss it even more! I hope one day I can go back to see it at night and have some more frites with mayo! Lol. Thank you for the lovely comment you left on my blog. I hope you enjoy your weekend! Oh wow, what a ogrgeous city. The architecture is amazing. Your photos are sooo beautiful too dear. 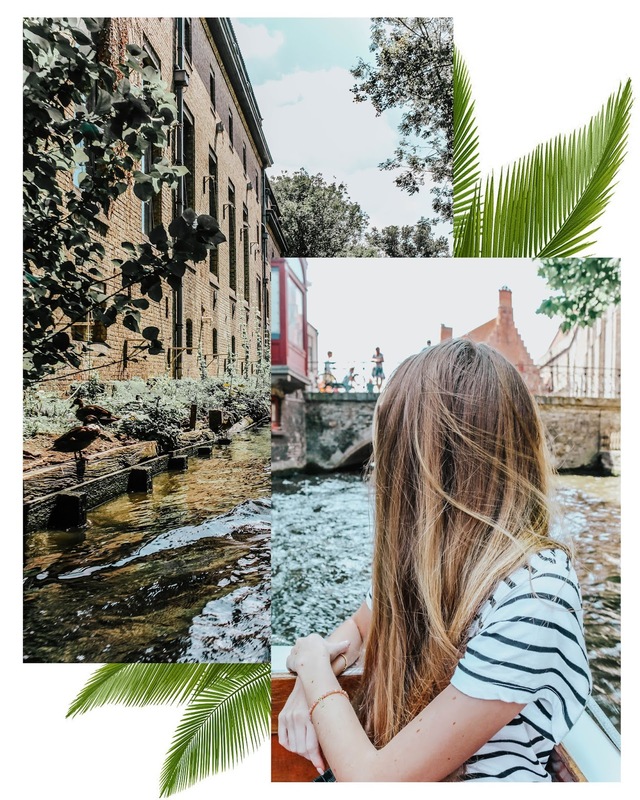 I booked a Belgium trip in October so this post comes super handy... And Brugge is definitely a place to visit. Thanks for sharing this amazing experience..